Schools out and spring break is in session. Thousands of college and high school students will descend upon beaches across the U.S. to relax, soak up some sun and wine and dine. Pack your bikini bottoms and sunscreen, but let your smartphone do the rest. This week’s Apps on Tap features three must-have apps for every spring breaker. Traveling to a spring break destination in what seems like a foreign land can be intimidating. Even more unsettling is finding yourself lost in a bind to find the nearest ATM, gas station or hotel. Luckily for spring breakers, AroundMe has your back. 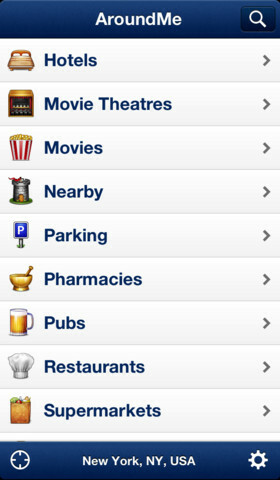 AroundMe gives users the ability to search for places nearby from hospitals to bars to parking. Spring breakers are notoriously spontaneous, so what better than an app that gives users everything they could possible need/want at their fingertips. Using the apps innovative user-interface, users can choose from a variety of destinations including banks/ATMs, bars/pubs, coffee shops, gas stations, hospitals, hotels, movie theatres, parking, pharmacies, restaurants and more. Once the user chooses a featured group, the app provides a list of destinations nearby. Just choose your preferred destination and follow the GPS directions or view the route from where you are. It’s as easy as that! The app also provides the locations’ phone number and website. Users even have the option of adding the destination to their favorites tab or sharing the location with friends via Facebook, Twitter or e-mail. Whether you’re soaking up the sun in Florida, taking a break on the slopes in Utah or lounging on the coach at home, AroundMe is the perfect app to get you where you need to go. Safe travels! Spring breakers are typically on a ramen-noodle budget. Relaxation and a real tan can cost more than what you or parents are willing to spend, so finding a great deal is a must. 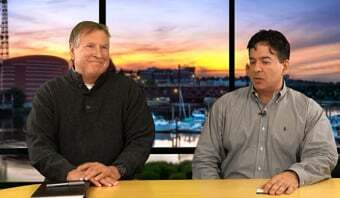 Instead of hitch-hiking to the beach or slumming it at a local park and ride, use Booking.com. Booking.com has budget-saving deals on hotels and accommodations in more than 41,000 destinations. Users can choose from hundreds of hotels, hostels, apartments, B&Bs and even castles! 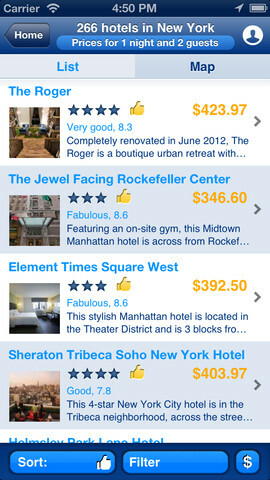 Search for accommodations using the app’s filters and sorting options to find exactly what you’re looking for. Users can search by price, distance and more. The apps eight million property and room photos will provide you with detailed information. Or read through guest reviews from verified travelers. Users have access to helpful maps that display nearby accommodations and 24/7 customer service. By signing in to your Booking.com account, users can store all accommodation details in one secure spot. Planning ahead? Users can add their booking information to their phone or tablet calendar, while past, current and upcoming bookings are synced to your Booking.com account. Even better, push notifications are sent to users phones before their stay with important information included for a breezy check-in. Travel in style this spring break using Booking.com, your wallet will thank you. Every spring breaker doesn’t have the luxury of flying, some hit road for a cross-country trip. Nothing is more irritating than the moment your gas light goes on. Just when you thought it was cheaper to fly, filling up your gas tank proves otherwise. Instead of your gas tank guzzling all your hard-earned cash, salvage your piggy bank with GasBuddy, the ultimate spring break co-pilot. 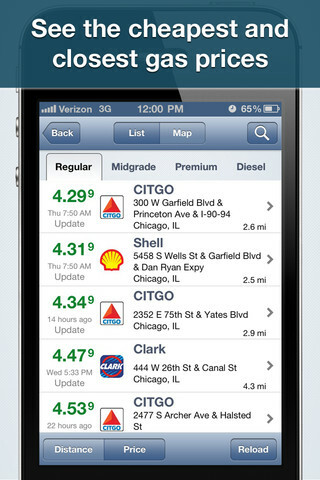 GasBuddy helps users find the cheapest gas prices across the U.S. and Canada. Search for the cheapest gas by city, zip, or portal code. View the easy-to-use map for the closest locations. Help your fellow travelers out by reporting gas prices. Even more, enter a chance to win $250 of gas every week and earn points and rewards for reporting gas prices. Driving cross country has its advantages, but ponying up for gas isn’t one of them. With GasBuddy, you and your buddies will be hitting the beach in no time with a little extra cash left over. Spend wisely spring breakers! Plan and enjoy your spring break vacation easily with these three must-have apps. Just remember kids, the real world doesn’t give you a spring break so live it up while you can! Stay tuned for next week’s Apps on Tap!